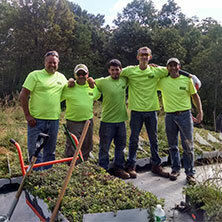 Evergreen Environments has installed dozens of living roofs from all major manufacturers. Our experience gives us a unique perspective on what works and what doesn’t. 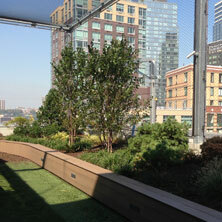 We have been providing superior, high-quality interiorscapes, green walls, & vegetated roofs consistently for 35 years for clients throughout the Northeast United States. We come on a regular basis to water, clean, prune, and dust the plants — whatever it takes to keep the plants looking their best. Any plant that declines is replaced free of cost. 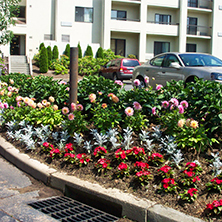 Evergreen Environments provides commercial landscape maintenance for businesses in and near Newtown CT. All of our services are fully organic & we don't use synthetic chemicals. 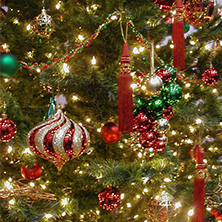 Let Evergreen Environments handle all aspects of your holiday decorations. We set up and take down large trees, wreaths, displays, lights, and more! You can just sit back and enjoy. 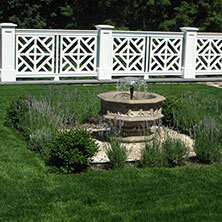 Distinctive Design | Superior Service | "The Plant People"
Since 1983, Evergreen Environments has been providing high-quality indoor plants, decorative planters, and consistently superior service to homes and businesses throughout Connecticut and in Westchester County. Your path to a greener office or home is simple. Give us a call or email us, and we will set up an appointment to stop by and review your needs and help you determine the best plants for your environment. 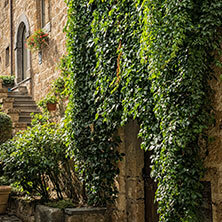 Whether it’s a vertical garden, living roof, or a simple installation, we will then draw up a proposal with all of our recommendations and an exact quote. If everything looks good from there, just give us a call and your plants and planters will be there in a week to ten days. It’s easy as that!